It’s a cool evening, at least by Bangkok standards, so I decided to walk home from work. As always, you can see a lot during a 20 minute walk in Bangkok. 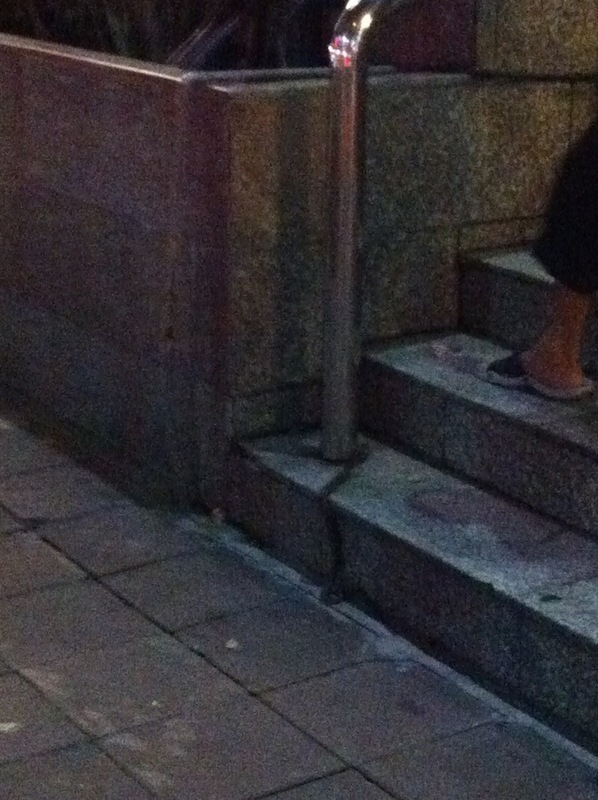 Tonight ‘a lot’ turned out to be a snake trying to climb the stairs of a big hotel in lower Sukhumvit. This entry was posted in Thailand and tagged Bangkok. Bookmark the permalink. 2 Responses to Really? A Snake? My friend swears he once saw a Boa Constrictor in the middle of a road in Siam. Don’t know if true or just urban legend. I’m undoubtedy enjoying ypur blog andd look forward to new updates.